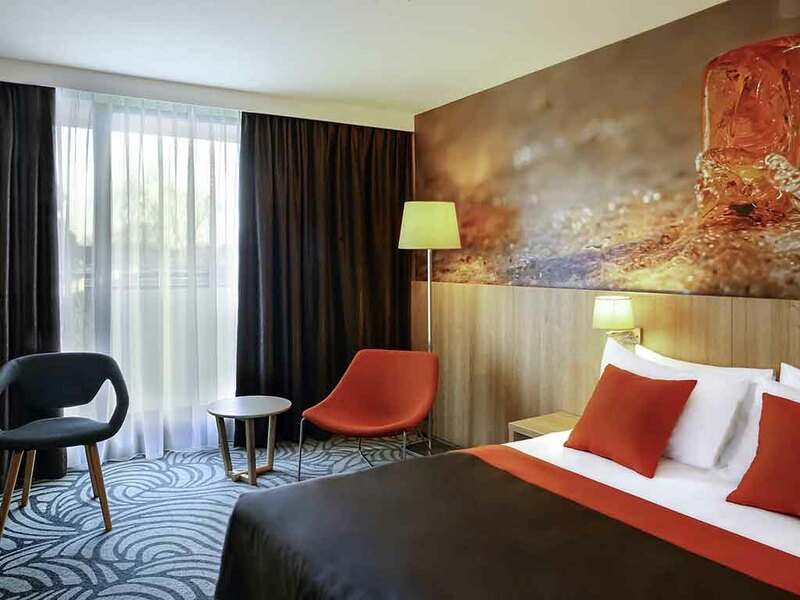 Surrounded with lush green space, the Mercure Gdansk Posejdon hotel is located just 109 yds (100 meters) from the sandy beach in Jelitkowo, a recreational district of Gdansk. The hotel offers 151 spacious rooms, Winestone restaurant, swimming pool, fitnes s and wellness center, and a conference center with 6 fully-equipped conference rooms. The nearby Sopot pier, cycling routes and the hotel's green space are wonderful places for recreation and relaxation. Winestone restaurant is a culinary hallmark of Mercure brand. The menu offers remarkable les planches dishes (served on stone pads) and a wide variety of wines from around the world. The Winestone restaurant offers a mind-blowing culinary experience with a wide choice of wines from around the world that are rarely found in Poland.